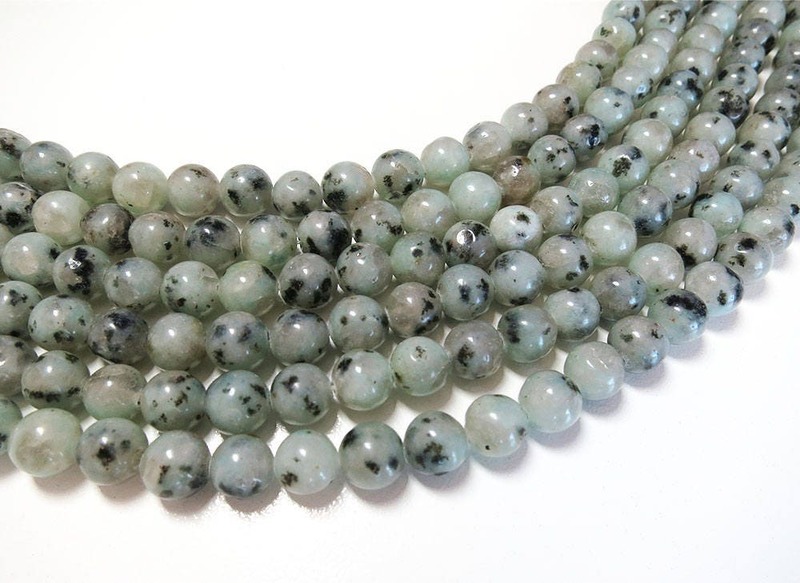 Kiwi Jasper or Green Sesame or Lotus Jasper are interchangeable trade names for a black speckled stone often mixed with translucent crystalline formations. To avoid confusion, we use the term "Kiwi Jasper" to refer to the light green variety of this stone. Like all jaspers, sesame jasper is a nurturing stone. It sustains and supports us during times of stress, and brings tranquility and wholeness. Used in healing, it unifies all aspects of your life. 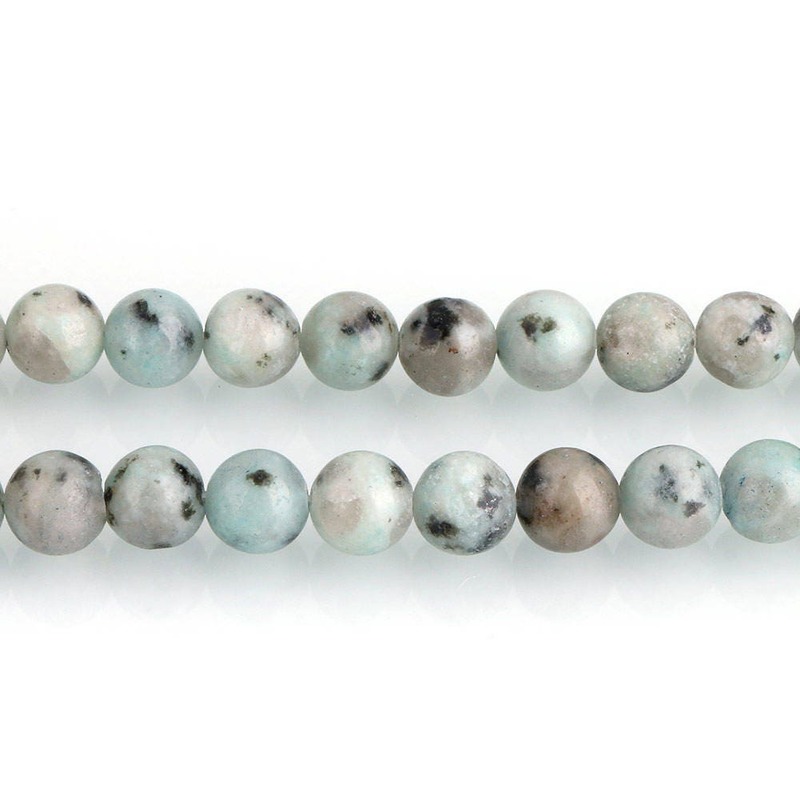 Jasper aligns the chakras and absorbs negative energy.